You will receive an e-mail with the code after payment. Strings are closed right now since we're pouring all resources we get into making the new Pathologic. Strings used to be one of the platforms to support the project on, but the Backer Portal serves that purpose now. Please take a look at it if you're interested in supporting us; perhaps you'll find a reward worthy of your intentions there. 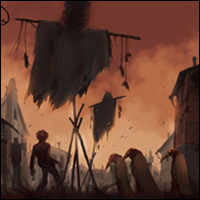 If you have already supported Pathologic via Strings, we've sent you a code to be activated on the Portal. Pledge management will be unlocked there after you do so. If you've got any questions of if anything goes wrong, please do not hesitate to contact support. We started the studio in 2001 as a laboratory for devising the creative forms of a new kind of games. We look forward to your help in our mission.